What’s the secret to winning in outer space? As Geico’s latest spot ‘Star Captain: The Lost Keys' demonstrates, remembering where you put your keys is a good start. 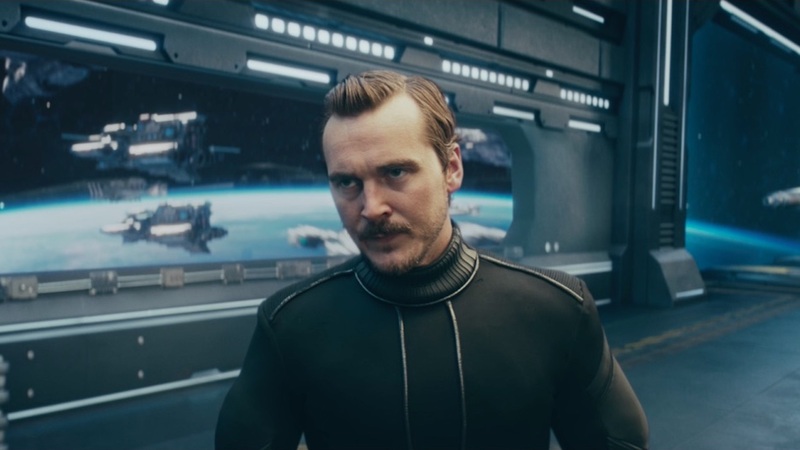 Continuing Geico’s Count On campaign, The Mill had the pleasure of partnering once again with The Martin Agency and Director Randy Krallman of Smuggler to deliver the intergalactic ad, which humorously depicts a familiar predicament set against an unfamiliar backdrop. Shot entirely on bluescreen, ‘Star Captain: The Lost Keys' called for collaboration and ingenuity across The Mill’s teams to transform the setting into a sophisticated, high-tech spaceship about to enter battle. 3D Lead Artist Matt Bonhert comments, “This was an exciting project for us. Our team was involved early on in the production process, which was wonderful, and we were given creative freedom to design and build the sci-fi environment." Matte Painting & Environments Supervisor Gillian George worked on set to capture extensive reference photography whilst working closely with Randy and Bryan Newman, Director of Photography, to visualize what could be accomplished with set extensions. To construct the vast hanger, detailed matte paintings were projected onto 3D models to enhance their texture, lighting, and scale. Gillian’s work significantly helped the 2D team as it gave them the flexibility to move and adjust elements within the environment on a moment’s notice. To illustrate the epic space battle ensuing outside of the ship, 3D artists utilized matte painted planet backdrops, dozens of 3D ships and script-driven laser animations. Elements such as explosions and energy shields were then composited into the scene to add to the frenetic tone of the narrative. For more from the hilarious collaboration, check out ‘Game Night with a Sloth’, which features a fully CG furry friend.